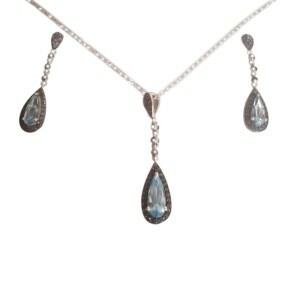 Beautiful white gold necklace and earrings set features blue and black stones. 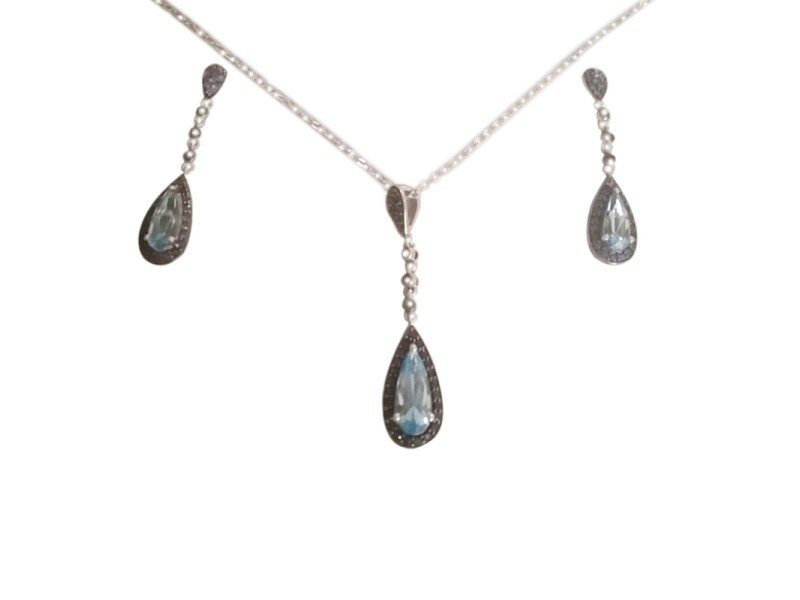 Drop pendant and earrings feature fabulous stones. Comes with the original box.